Filling the school holidays do not always have to travel out of town or spend money. It is certainly familiar we meet. but look, is to do positive things to improve the personal quality. Maybe by visiting the city, where it can gain knowledge about the outside world that is more advanced, and challenging.The purpose of vacation is to refresh the mind or brain is not saturated with everyday life. Holidays can be done in various ways, ranging from going to a tourist, visiting relatives, or stay at home and doing interesting things. Vacation Tourist AttractionOne of the most popular vacation alternative by many people is to go to tourist attractions. In Indonesia alone, there are many attractions worth visiting. Starting from the beach or ocean, mountain tourism, as well as the zoo. Vacation RelativesIn addition to the resorts, vacation another alternative is to go to your house. In addition to refreshing the mind, you can stay in touch and strengthen family relationships. Vacation at Home? 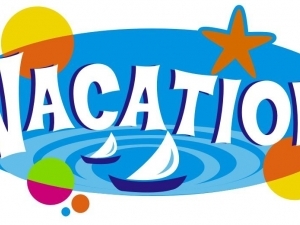 Can!Vacation is identical to spend time outdoors, going to the resorts or to other places that actually serve a variety of entertainment. However, if you do not have enough time, do not have a vehicle, or the weather is bad, why not spend the holidays at home alone? 1. Perform activities that are outside the routine. You can try new things at home, such as reading books, watching movies, enhance your home, or making a particular craft. In addition to refreshing the mind, you can produce something worthwhile. 2. When you begin to get bored at home, invite some friends or relatives to stay. You will not be lonely anymore at home, you can do various things with the people closest to you. 1. Do not forget to bring a sweater, raincoat, or umbrella. 2. It never hurts to bring sunblock to protect your family's sensitive skin exposed to sunlight. 3. Do not forget to bring sunglasses or a hat for protection from the sun. 4. It never hurts to bring a tape / CD to be heard. 5. A digital camera or Handycam to capture the moments that deserve to be a memento along with beloved family.